Completed MSc in geology in June 2011 in Faculty of Geography and Earth Sciences, University of Latvia and defended PhD in Earth Sciences in Institute of Geology at the Tallinn University of Technology in January 2015. From January 2015 until August 2017 worked as a post-doctoral researcher in the consortium project headed by Prof. Heikki Seppä “Ecological history and long-term dynamics of the Boreal forest ecosystem (EBOR)” in Department of Geosciences and Geography, University of Helsinki. Previously from 2009 to 2011 worked as senior expert in Licence sector at Latvian Ministry of Environmental Protection and Regional Development. Since July 2017 assoc.prof. Quaternary geology and geomorphology at the University of Latvia. Since February 2018 Senior Researcher at the University of Latvia. Since January 2018 Researcher at the Department of geology at the Tallinn University of Technology. PhD in Geology - obtained in 2013 in University of Latvia, Faculty of Geography and Earth Sciences. 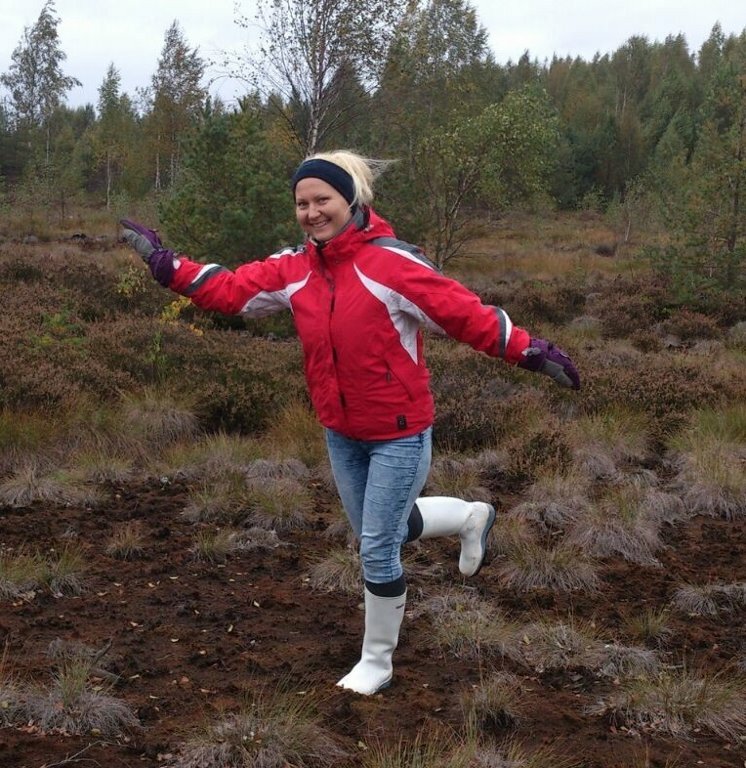 In the dissertation studied peatlands and their formation and peat and its properties. Since 2007 in parallel to studies working in Latvian Peat Producers' Association. Besides scientific studies she also studied a variety of peat industry-related issues (export trends, socio-economic aspects, environmental impact, etc.). Ilze is a Member of the Board of certification "Responsibly Produced Peat", as well as a secretary the International Peatland Society of (IPS) Latvian National Committee and a member of the IPS VIII Commission "Peat and peatlands cultural aspects". Organized several international events - the International Peat Technology Symposium (2014.g. ), Baltic Peat Producers Forum (2008, 2011, 2014), etc. She has prepared the information stands about peatlands and peat along trails in the at Cena Mire and Puikule Mire. Also, guided tours and lectures for different audiences (pupils, students, government employees, tourists, etc.) in peatlands and peat extraction sites. Ieva’s scientific interest has always been associated with freshwater ecosystems and lake sediments. At the University of Latvia, she studied environmental science specializing in paleolimnology. Her Master`s thesis was about environmental changes and anthropogenic impact in three lakes (Lake Bušnieku, Lake Engure and Lake Svente) over the Holocene. She applied several palaeoecological methods, such as pollen, macroremain, diatom and grain-size analyses, as well as loss-on-ignition and magnetic susceptibility. She used her knowledge in paleolimnology further in PhD studies at the Institute of Geology at Tallinn University of Technology (TUT) where she obtained PhD in December 2015. In PhD research “Diatom Stratigraphy and Relative Sea Level Changes of the Eastern Baltic Sea over the Holocene” she reconstructed relative sea level changes in the eastern Baltic Sea over the last 12 000 years. Research objects were isolation basins – coastal lakes that once were part of the larger water basin and due to the land uplift over time were isolated from the Baltic Sea. The key bio-proxy that is substantially required to determine the transition from marine to freshwater environment is diatom analysis. Ieva gradually improved skills in diatom identification under the supervision of eminent diatom researchers – Dr. Atko Heinsalu (TUT), Prof. Jan Risberg (Stockholm University) and Dr. Kaarina Weckström (Geological Survey of Denmark and Greenland). Besides diatom analysis she applied litho- and chronostratigraphy to find the isolation contact in the isolation basins, as well as geographical information systems to determine the height of the thresholds and other geomorphological markers. Since 2016 researcher at the Institute of Biology at University of Latvia. Board member Master degree in Geology and now PhD student (geography) in University of Latvia. PhD in Geography, Stockholm University, Sweden. Senior Researcher at the University of Latvia. Main speciality pollen analysis and aerobiology. PhD in Quaternary geology, Uppsala University, Sweden. Professor in Department of Geology at Tallinn University of Technology, Estonia. Scientific interests pollen analysis, vegetation history, history of the Baltic Sea, palaeoecology, palaeoclimatology and palaeogeography, prehistoric human impact upon landscape. More information can be found from Estonian Research Information System. Master degree in Geology, University of Latvia. Currently working in The Latvian State Roads. Member Education: Master degree in Environmental Sciences, University of Latvia (2013), bachelor's degree in Geography, University of Latvia (2011). Job experience: Since July 2013 working in State Ltd Latvian Environment, Geology and Meteorology Centre – Information Analysis department, senior specialist in Air and Climate division. Responsibilities related to compilation of data and information for annual greenhouse gas inventory in the framework of the United Nations Framework Convention on Climate Change and Regulation (EU) No 525/2013 of the European Parliament and of the Council on a mechanism for monitoring and reporting greenhouse gas emissions and for reporting other information at national and Union level relevant to climate change. Master degree in geology (University of Latvia). Currently working in State Plant Protection Service. PhD in Environmental Sciences (University of Latvia) since 2015.